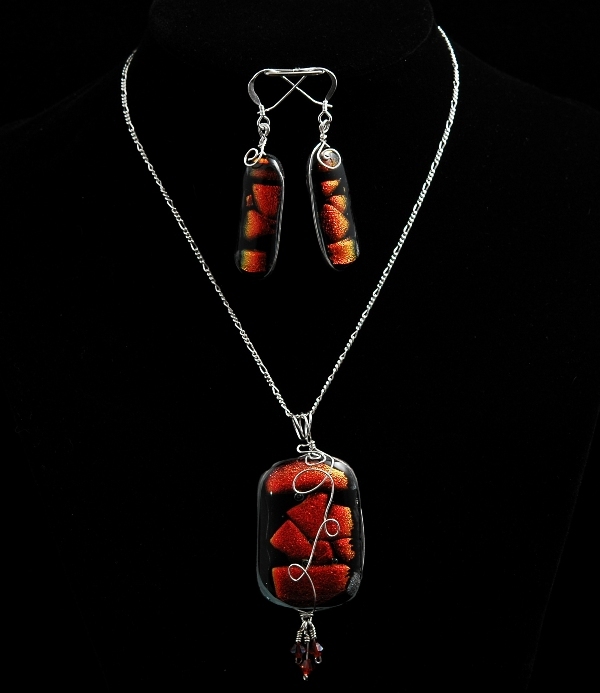 Orange dichroic glass on black background; wire-wrapped in sterling silver. Sterling Silver chain, 17". Mardi Gras pendant and earrings. 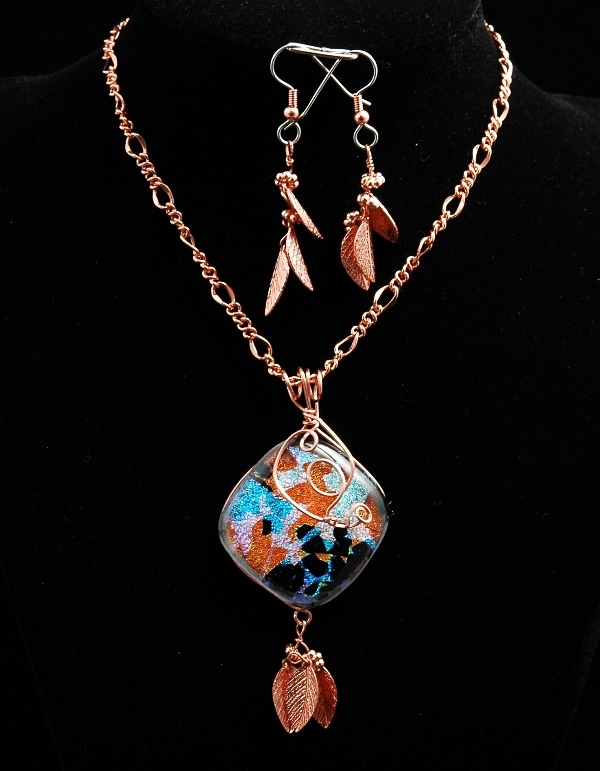 Dichroic glass, wire-wrapped in copper; embellished with copper feathers. Copper chain, 16-1/2". Textured Triangles. 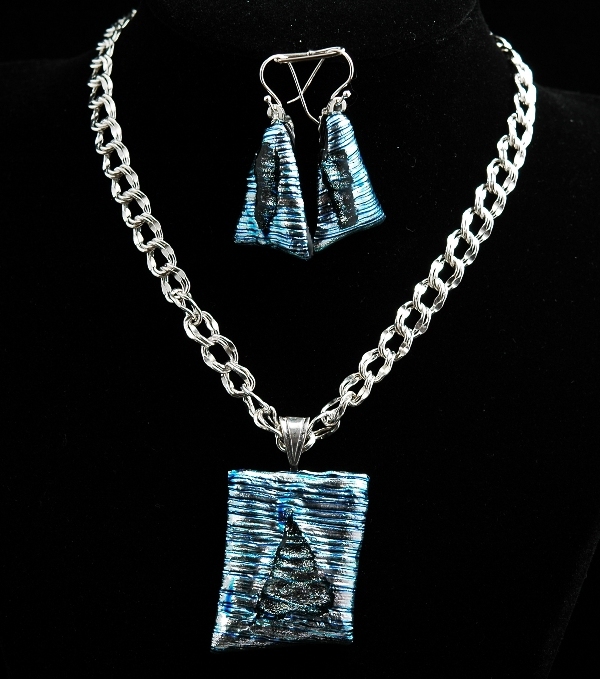 Textured silver dichroic glass with Sterling Silver finding. Heavy Sterling Silver Chain. 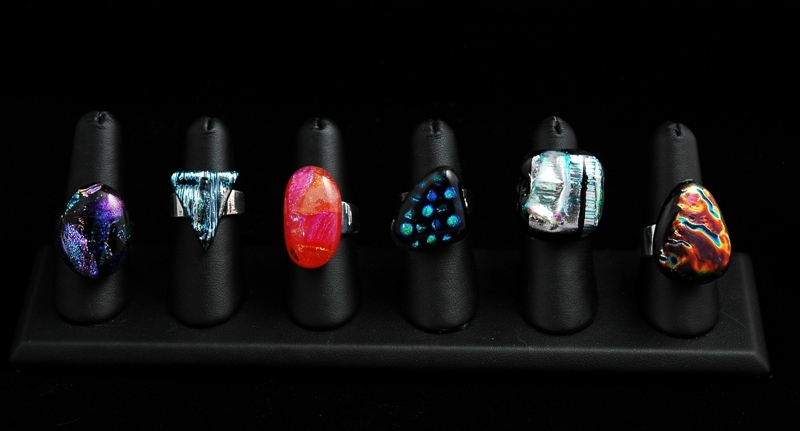 Rings are made of fused dichroic glass on silver-plated shanks; sizes 6, 7 and 8. Sold separately for $35.00, contact Glass Fanatics for availability.